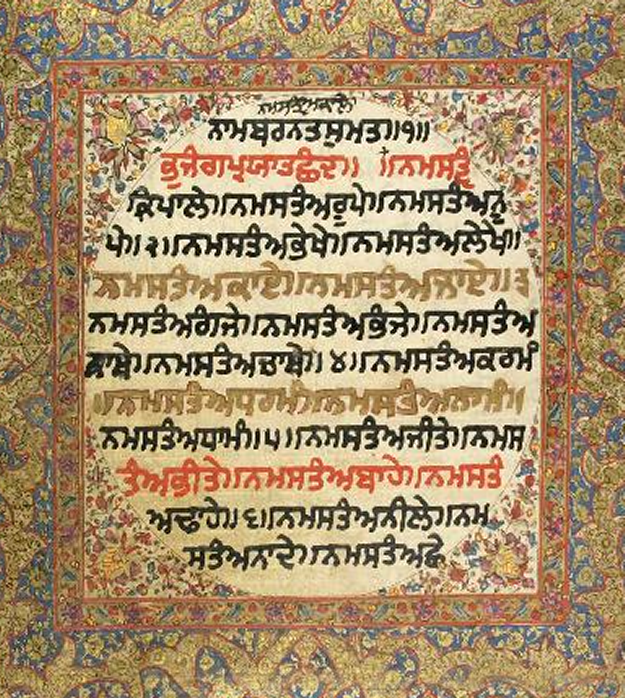 The above Hukamana was taken from Guru Granth Sahib Ji after the birth of Baba Kartar Singh Jee Khalsa in 1932. It summed the exemplary life that Baba Ji lived and practiced. His parents were Mata Labh Kaur & Jathedar Chanda Singh Jee of Village Purane Poore, Tehsil Kasoor in the District of Amritsar. His father, Jathedar Chanda Singh was a great Gursikh of high morals and good discipline. Baba Kartar Singh Jee was first educated at the Government Middle School Khemharan, 9th & 10th grade were studied at National High School – Bhikhivind, after which further studies were made at Khalsa College Amritsar. Along with worldly education, Baba Kartar Singh Jee was educated in Gurmat by Baba Baga Singh Jee who lived in their village. With the grace of Guru Jee, he quickly learnt his 5 morning prayers, Reharas, Kirtan Sohela off by heart. He was still a student when in 1948 AD, he took Amrit at Bhindra from Baba Gurbachan Singh Jee’s Jatha who were at Bhindra at the time. After taking Amrit he became very close with Baba Gurbachan Singh Jee. Whilst studying at Khalsa College he used to remain engrossed in Simran and prayers. He used to recite a lot of Gurbani, over and above the compulsory Nitnem for Sikhs. His Anand Karaj was performed in 1950 at the age of 18 years. Two sons were born who are, Shaheed Bhai Amrik Singh Jee and Bhai Manjeet Singh Jee. With the permission of Khalsa Jee and to fulfil his father’s desire, Baba Kartar Singh Jee became a Patvari (village level revenue official who keeps records of land holdings, crop surveys and calculates land revenue) for a while, but in 1957 AD he resigned from his job and started living in the Jatha on a permanent basis. For some time he did the seva of being a Garveye (similar to personal assistant) to Khalsa Jee. Daily he would recite the 5 morning prayers, Jaitsri Di Var, Satte Balvade di Vaar, 25 Ang of Sri Guru Granth Sahib Jee and in the evening he would recite the Panj Granthi, both Bareh Maha and many Japjee Sahib’s in Khalsa Jee’s presence. He were dedicated in their seva and would willingly do any seva. He used to say that for Sikhi to flourish, a Parcharak's lifestyle should be exemplary and disciplined. With regard to this, he emphasized that each person who publicly speaks at the Gurdwara from the stage must be Amritdhari. He advised the committee of Sri Patna Sahib with regards to this and he issued an edict/Hukamnama stating this, with which 36 Dhadi Jathas and many Parcharaks became Amritdahri. Delighted with this Baba Kartar Singh Jee gave saropas to these Parcharaks on 7th October 1976 AD at Bir Baba Budha Sahib Jee. There, when 250,000 peope had congregated, he narrated the history of Sri Guru Tegh Bahadar Jee and other Shaheeds afterwhich 5,000 men out of the Sangat stood up and promised never to drink alcohol again or cut their hair. Whenever anyone used to ask for the his presence at their home, if they were Patit (not within Sikh Code of Conduct), cut their hair, drank alocohol/take intoxicants – until the home owners would promise that they would give up drinking alcohol/taking intoxicants or stop cutting their hair – he and his entourage would not go to their home or eat anything from them. In this way, he put many onto the path of Sikhi. "May my head be sacrificed, but not my Sikhi." He replied that the 2 ministers should be informed that the procession is being performed in memory and honor of the protector of the Hindus – 'Hind dee Chadar'. The ministers should remove their shoes and stand with both hands folded and clear the road for the procession to pass. He was asked to lay the foundation of Sri Guru Tegh Bahadur charitable hospital in Ludhiana. When he arrived there, about 15-20 men got up in the Divan to welcome him. Baba Jee walked out and left. The organisers went and asked the reason for this exit and he replied that “in the presence of Sri Guru Granth Sahib Jee no one should stand to welcome or respect another, as this degrades the respect of the Guru.” After the organisers asked for forgiveness, he sent them all back into the Divan and Baba Jee went in by himself after all of them. He explained to them that it doesn’t matter how famous the leader or great a Gursikh is – no one is greater than the Sri Guru Granth Sahib Jee. In Delhi on 7 December 1975 AD – to commemorate the 300th anniversary of the Shaheedi of Sri Guru Tegh Bahadur Jee, in the Ram Lila ground, a procession of 2.2 million people arrived and P.M. Indira Gandhi came onto the stage. In the presence of Sri Guru Granth Sahib Jee, all those on the stage arose to welcome and respect her, but it was only Baba Kartar Singh Jee who remained seated. On the stage Baba Jee spoke passionately about this anti-Sikh act. Many leaders who spoke on the stage said that P.M. Indira Gandhi had built an excellent relationship with Punjab, after which she said, "..the Delhi government got Sri Guru Tegh Bahadur martyred and today the Delhi government prostrates to Sri Guru Tegh Bahadur Jee. The same Delhi government who gave reports against the Sikhs, today respects and reveres Sri Guru Tegh Bahadur Jee." The second point that he clarified was that “We want to ask Indira Gandhi who achieved the rule of the Delhi government? If you have come here to prostrate to Sri Guru Tegh Bahadur you have done no great act. If Guru Jee had not become martyred, the master of this throne would have been a Muslim and everywhere all would be greeted with Salema Lekham. You yourself would have been under a Burka. The number of hairs that are on the body of the P.M., even if she was to cut her head off that many times and placed at the feet of Guru Jee, she still would not be able to remove the debt owed to Sri Guru Tegh Bahaur Jee. Regardless of how powerful the P.M. – no one is more powerful than our Guru. She should prostrate to our loved one, the light of the 10 Kings - Sri Guru Granth Sahib Jee, not require that we get up and pay respect to her.” Following this, Jakaras were heard from all areas of the arena. Due to the truth being spoken by Baba Kartar Singh Jee, this led to disputes being raised by P.M. Indira Gandhi with the Damdami Taksal. If anyone disrespected Sri Guru Granth Sahib Jee he never tolerated it. Thus he spoke up against the Nakali Nirankaris and led programs to tackle their onslaught on Sikhi. Baba Kartar Singh Jee served as the Jathedar of Damdami Taksal for 8 years and did much Gurmat Parchar in this time. On August, 3rd, 1977, he was traveling from Maleeha (Jalandhar) to Solan and at the station Hussaainpur, where his car crashed into a tree –causing him critical injuries. He was taken to the C.M.C. Hospital. He ascended to Sachkhand here on August 16th, 1977. He was cremated at Gurdwara Gurdarshan Parkash at Mehta on August, 21st, 1977.